Sell your tables online in real time, manage your bookings and auto-confirm with guests. Simple to set-up yourself, no cover fees or sneaky charges and unlimited access. Own your guest experience and Keep all your customer data private. We help restaurants bypass expensive reservation platforms, and painful variable fees, with a simple yet powerful way to manage guests and bookings. 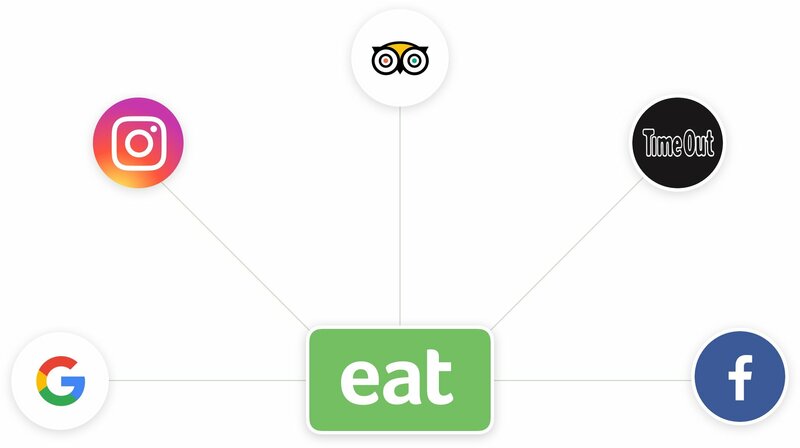 Reservations through your website and Instagram are easy with Eat. 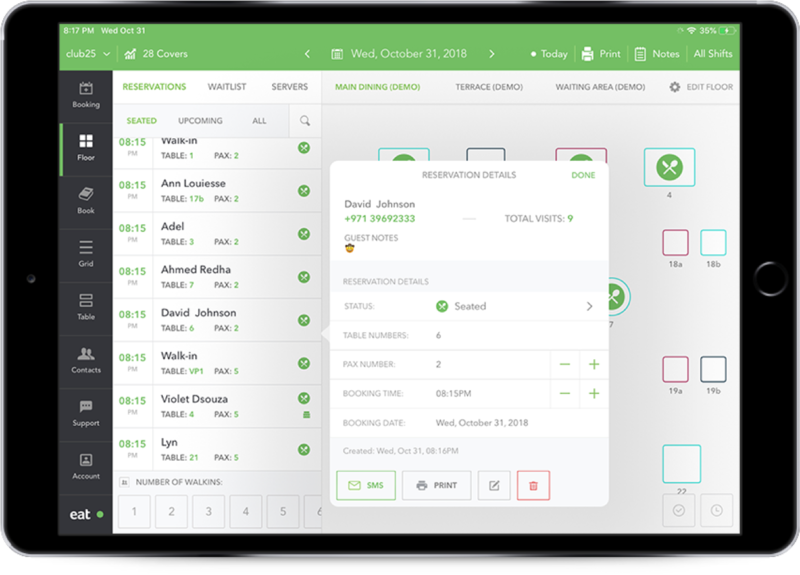 Your customers see live table availability 24hrs a day, book in a few clicks, and receive automatic SMS and Email confirmations. Plus it takes seconds to install. We help you build and maintain your customer database. See complete diner histories and track guests birthday's and preferences. From personalized service to sophisticated marketing, use the power of guest data to level up your hospitality. Online reservations at your restaurant. Done. Remove the confusion from online reservation management. We're not just about increasing bookings. We also help you lower marketing costs and reduce no shows. We help restaurants be found online. 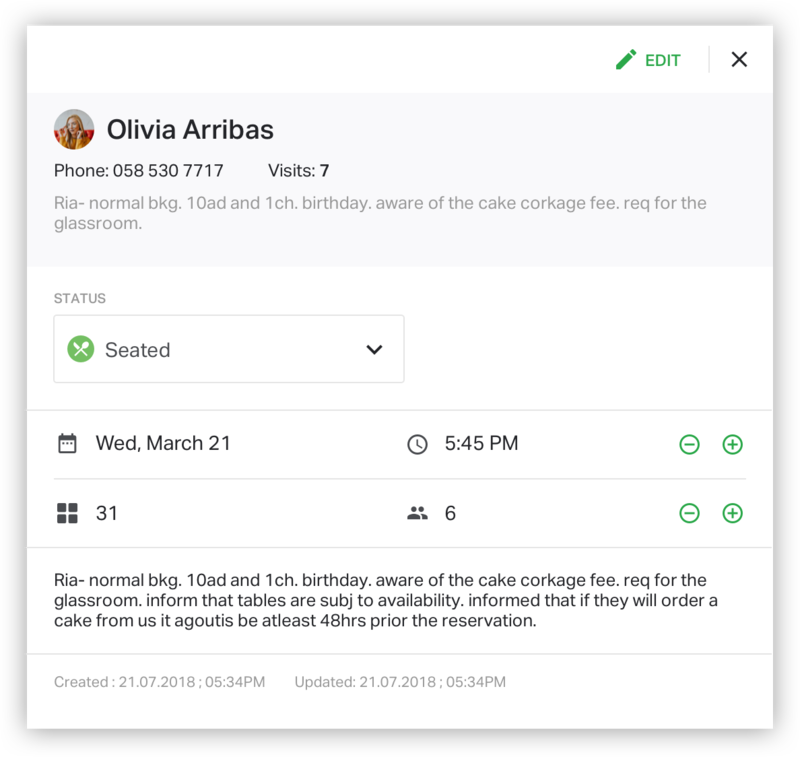 Connect your reservation system to your social media profiles and booking partners - including TripAdvisor. More reservations means more revenue. Drastically reduce no shows. We'll send automatic SMS and Email reservation reminders to your guests. 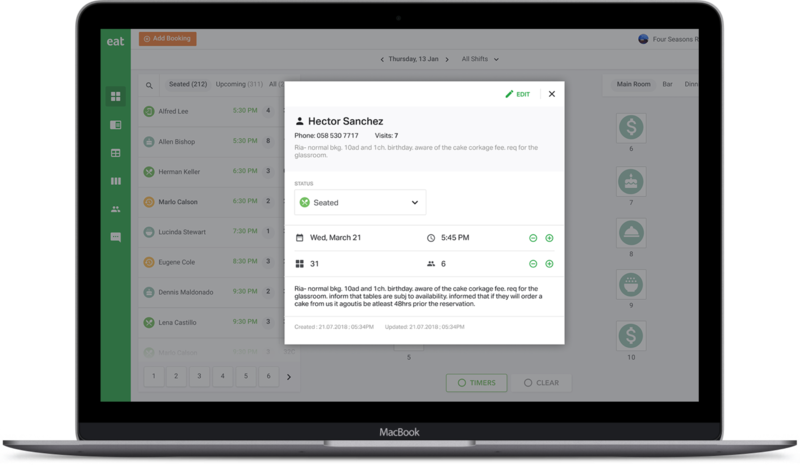 Customize reminders with requirements and details specific to your restaurant. 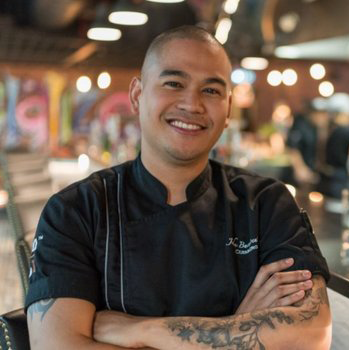 Why do restaurants choose us? We don't charge for covers that come from your website. Get setup with online reservations in minutes. Simple pricing tiers from free to advanced. No surprises. We were looking for a straight forward system for managing the restaurant. After looking at other solutions it was clear which one ticked all the boxes. Join the thousands of restaurants that use our restaurant reservation and table management system.